Like no other community in Vancouver. 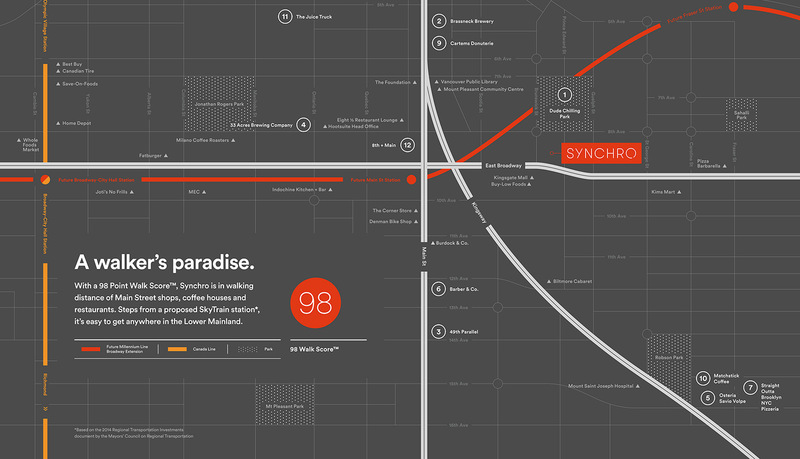 Live in the heart of an artistic, authentic and friendly community. 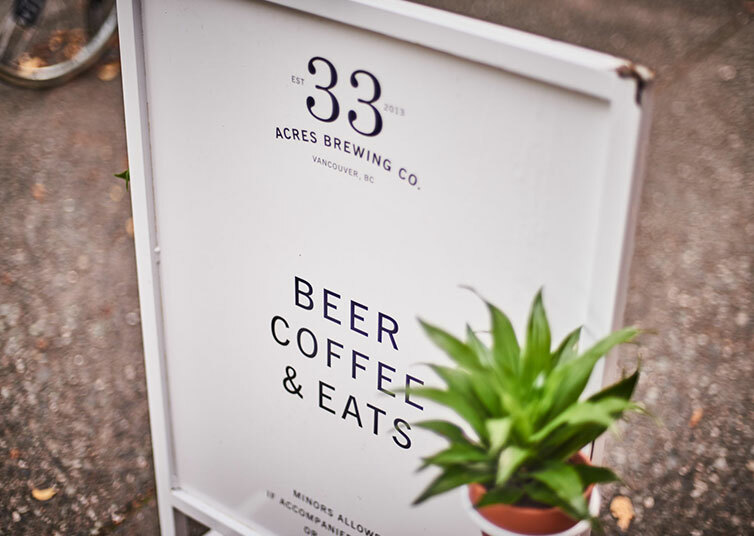 Where you can walk down the street and have an incredible coffee, meet friends after work for a hand-crafted beer, or just hang out and enjoy life. 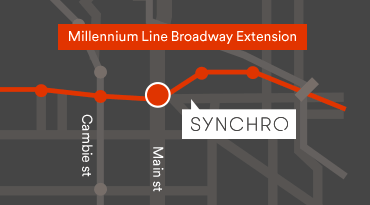 The proposed Millennium Line Broadway Extension will see a new station at Broadway & Main: just a few steps from Synchro, connecting you to effortlessly to the Lower Mainland. For true craft beer aficionados. 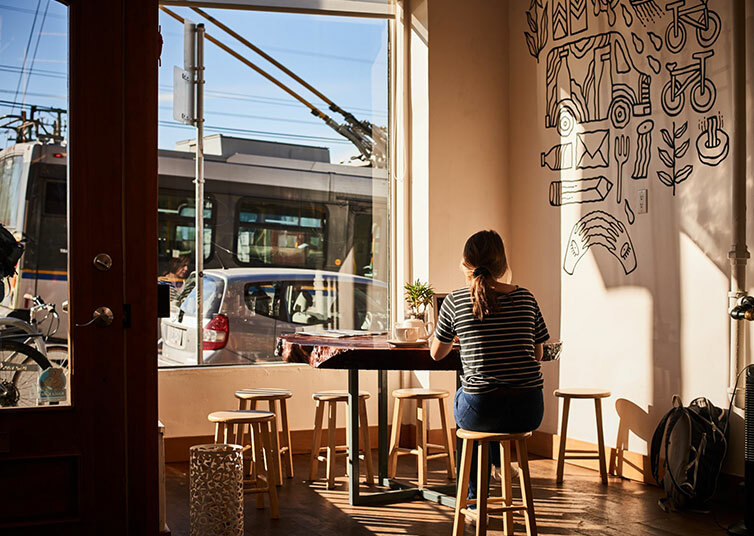 With an industrial aesthetic and rotating selection of beers, Brassneck's tap room is a local favourite. 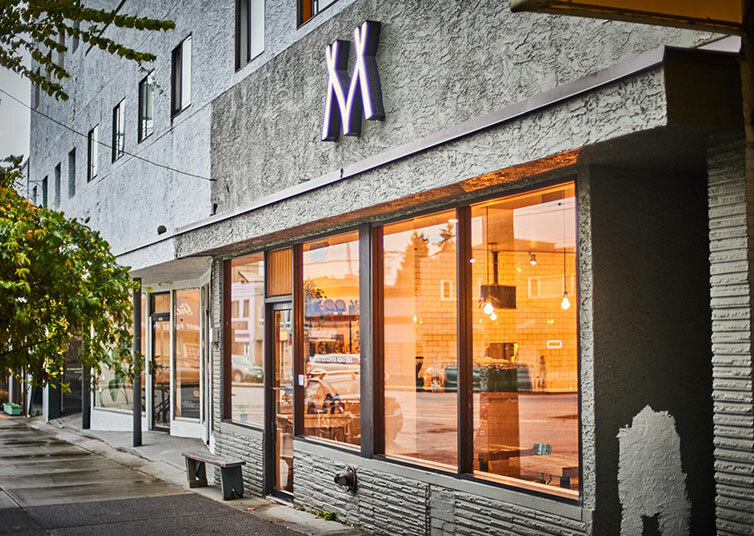 A Vancouver classic, the Main Street location is 49th Parallel's first. 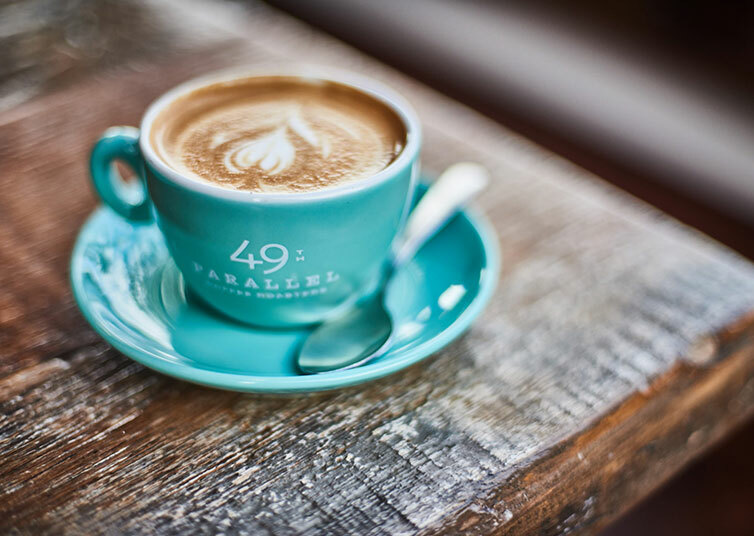 Besides freshly brewed coffee, 49th Parallel shares the space with Lucky's Doughnuts, so you can enjoy a PB&J doughnut along with your espresso. 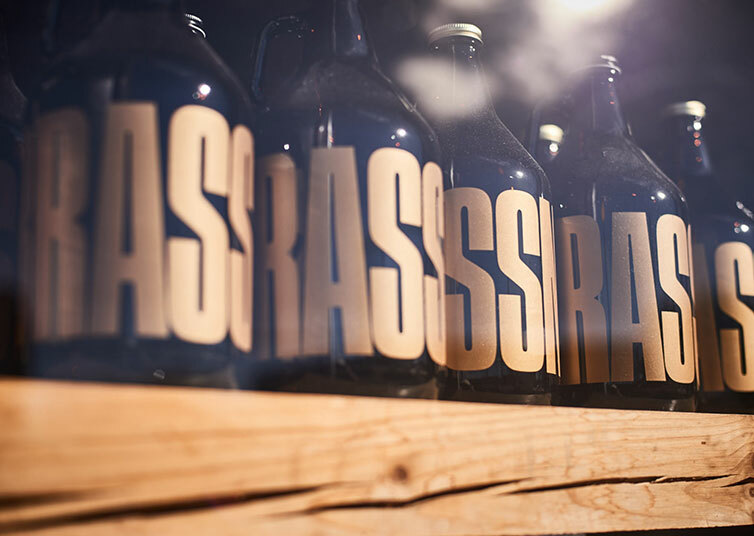 Only in Mount Pleasant can you get house-brewed beer paired with a rotating selection of Vancouver's finest food trucks. A great place to grab a brew after work. Rustic Italian fare served family style. Share a plate of homemade pasta with a loved one or friends in this beautiful space.  Custom grooming for the modern gentleman. 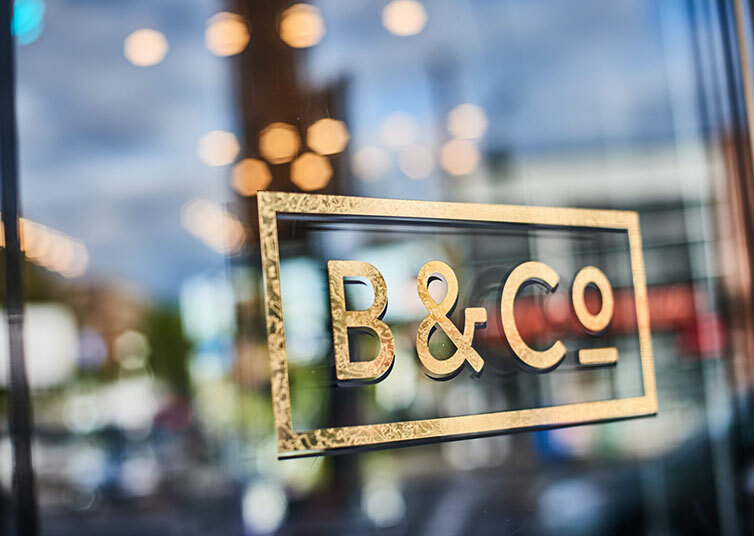 This boutique shop offers precision expertise in the craft of barbering, artfully blended with the comforts of a social club. 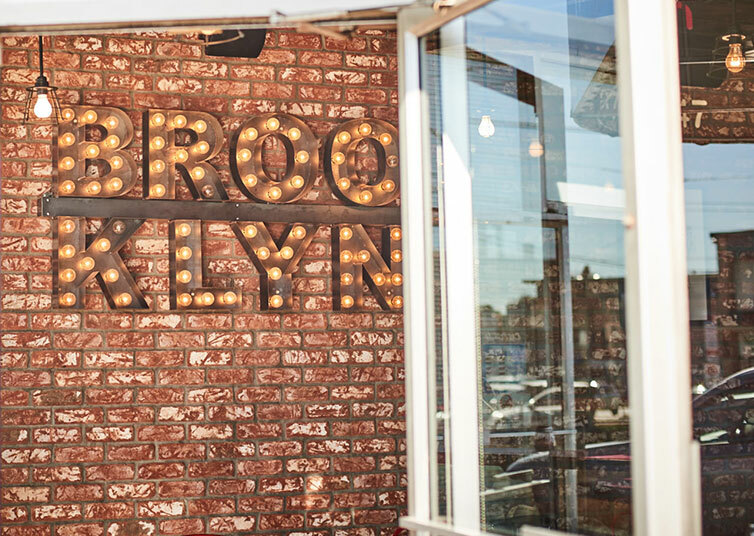 New York style pizza in the heart of Mount Pleasant, Straight Outta Brooklyn is the local go-to spot. 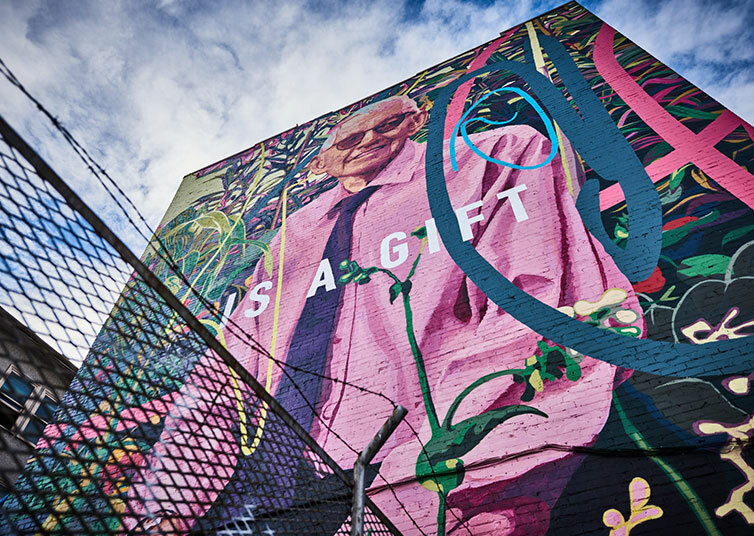 Throughout the nooks and crannies of Mount Pleasant, you’ll find 53 murals painted by 56 artists, including Ilya Viryachev’s and Ben Knight’s eye-catching mural at Main and 12th. Mouth watering, bespoke treats of all concoctions of flavours. Don’t fret Vegans and Gluten-intolerants, they have something for you too! The perfect hideaway on rain-soaked Vancouver days. Excellent hand-crafted coffees; try the fresh Earl Grey muffins and double-baked almond croissants. 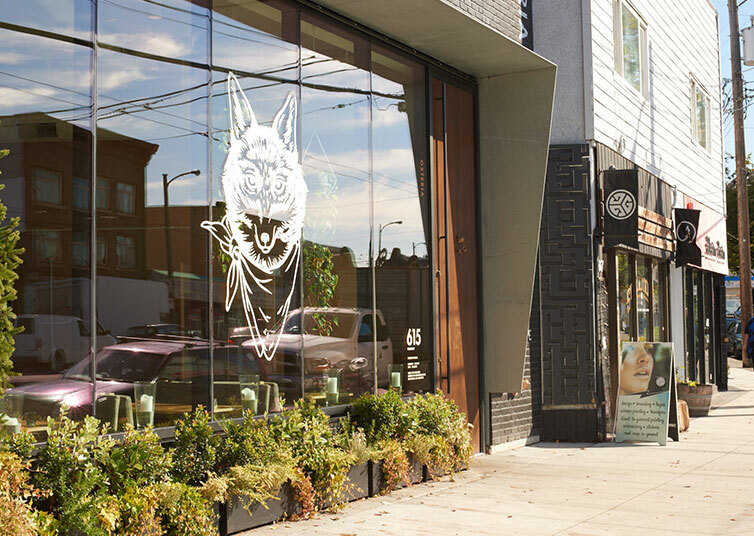 Vancouver's original cold-pressed juicery. 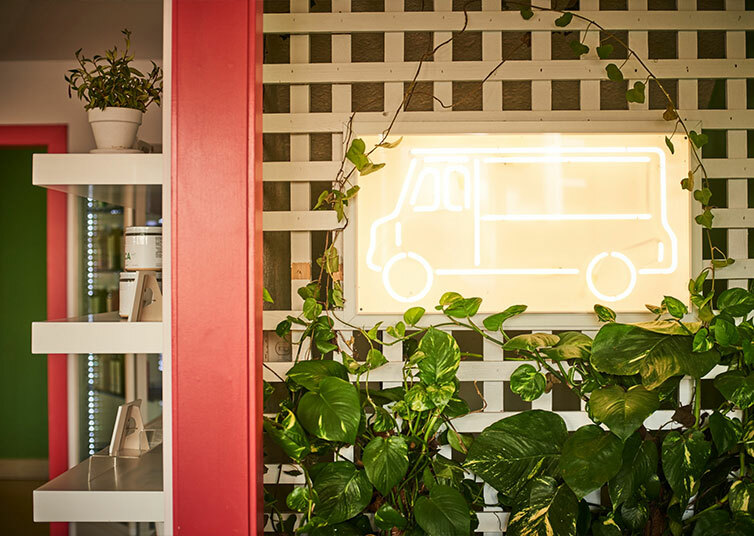 Check out their amazing selection of juices, smoothies and health-inducing foods — the acai bowl is hands down amazing. 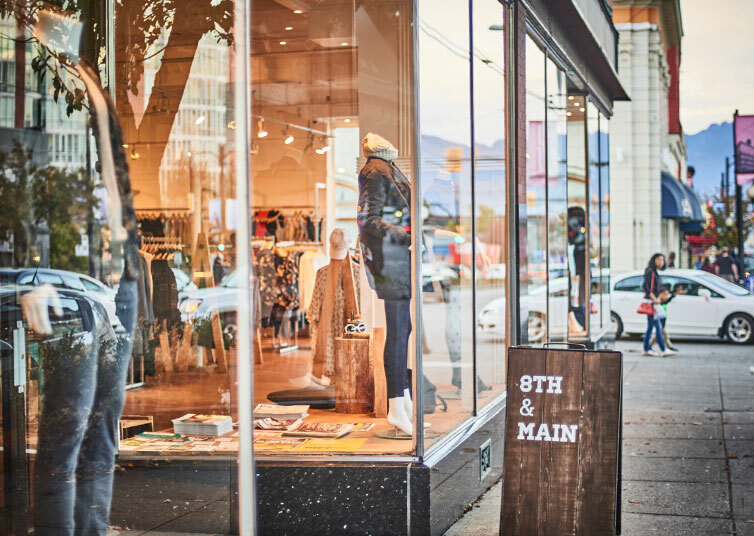 Independently owned boutiques are at the heart of the neighbourhood, and 8th + Main is one of the best. 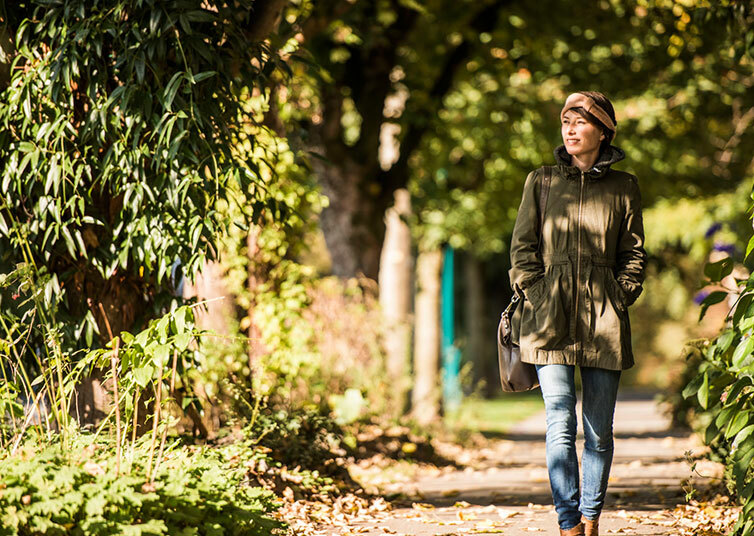 A one-stop shop for clothing and accessories for men and women. Super-friendly staff.